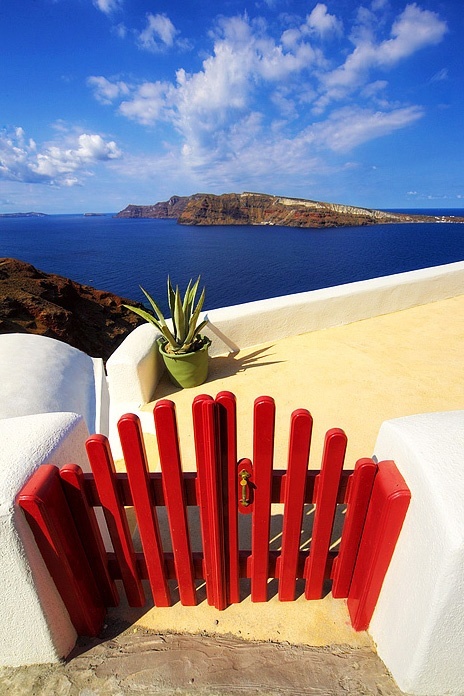 Santorini, is an island in the southern Aegean Sea, about 200 km (120 mi) southeast from Greece's mainland. It is the largest island of a small, circular archipelago which bears the same name and is the remnant of a volcanic caldera. It forms the southernmost member of the Cyclades group of islands, with an area of approximately 73 km2 (28 sq mi) and a 2011 census population of 15,550. The municipality of Santorini comprises the inhabited islands of Santorini and Therasia and the uninhabited islands of Nea Kameni, Palaia Kameni, Aspronisi, and Christiana. The total land area is 90.623 km2 (34.990 sq mi). Santorini is part of the Thira regional unit.